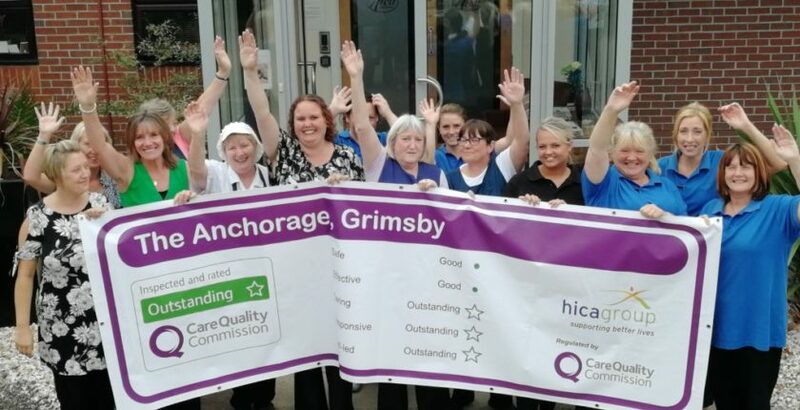 The Anchorage in Grimsby has become the first Hica Group care home to achieve CQC Outstanding. The service, which provides personal care for up to 40 people, received the CQC’s top rating in the three categories of Caring, Responsive and Well-led, following an inspection in May. The CQC report highlights that staff are exceptionally caring and hold positive, meaningful relationships with residents. This has been recognised by both residents and families in their care. The Anchorage offers a range of activities including, craft sessions, sport activities and therapy such as Pets As Therapy (PAT), in which animals visit so that residents can spend time bonding and interacting with them. Bev Milson, manager at The Anchorage, said: “I am over the moon that we have achieved this rating. We always strive to achieve and deliver the most effective care. We put our residents at the heart of everything we do, and we cater for the varying and diverse needs across our home every day. The Anchorage has also received a gold award from NE Lincs Clinical Commissioning Group three years running. The Hica Group is a not for profit organisation, which operates a portfolio of 15 residential care homes, five of which are for people with a learning disability, along with two retirement villages. The company also runs a home care service providing approximately 11,500 hours of support and care from four regional offices in the North of England.